Watch Out – Ben Carson is angry! The Washington Post reported Republican leaders are preparing for a brokered convention to pick the lucky Republican who will get the party’s nomination. Ben Carson is definitely not happy about the news and threatened to leave the party due to the GOP’s shenanigans. He didn’t specify whether he’d drop out of the race – leaving some to wonder if he’ll run as an independent. 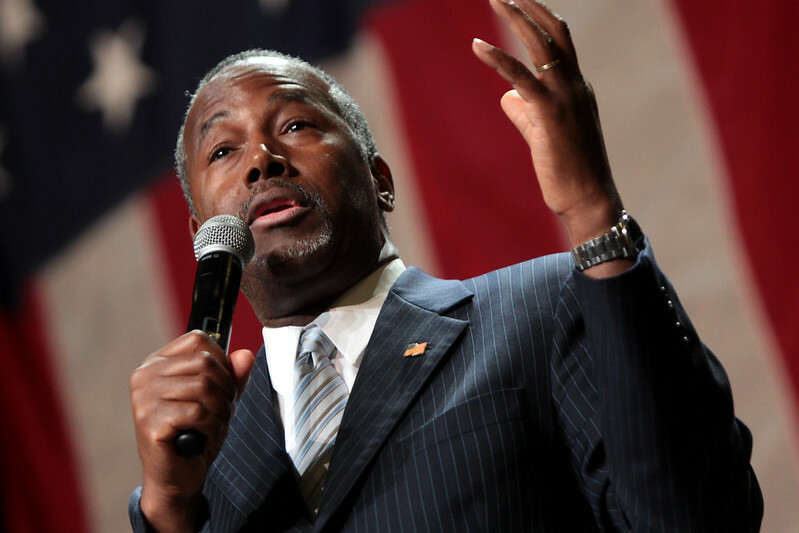 For a short while, retired neurosurgeon Ben Carson was the top GOP presidential contender. He was riding the red wave – which only served to massage his enormous God complex. But after a huge drop in the polls, a slew of gaffes and crazy theories (like prison turns people gay, and the Pyramids in Egypt were really used to store grain) and the possibility of a brokered convention, Republican Ben Carson threatened he might take desperate measures in pursuit of his White House ambitions. In an interview with ABC News on Friday, Carson said he had no plans to run as an independent. “But I certainly don’t want to be a part of corruption,” said Carson, who stopped short of saying he would drop out of the race if he left the Republican Party.“I’ll leave that up to you to speculate,” he added with a smile. In United States politics, a brokered convention is a situation in which no single candidate has secured a pre-existing majority of delegates (whether elected by primary elections and caucuses, or super delegates) prior to the first official vote for a political party’s presidential candidate at its nominating convention. Buckle up America, 2016 will be a bumpy ride.